Well folks, week four of the Jeffrey Court Fall Reno Challenge has definitely been heavy on the “challenge” for us! But guess what? The new porcelain tiles are down, grouted and they look like they were meant to be. If you’ve been following along you know that we’ve never laid tiles before, EVER. And in hindsight I should have used my head and not my heart when I picked these tiles and it would have probably taken a third of the time. You see we are tiling a very small space, roughly 38 square feet, and big tiles would have taken no time, but I had to go and fall in love with these 4x12’s and once I saw them, there was no turning back. I also need to take a moment to give credit where credit is due. My local Home Depot in Bowmanville, Ontario is not only my most favourite store, the staff there, in every department, always go above and beyond. Today I need to give a shout out to a couple of the guys in flooring - Grant and Gabe. These guys spent so much time with us on multiple occasions since this Challenge began, giving us step by step instructions from start to finish. We honestly would have been lost without their advice and direction. We’ve spent so much time with them I’m considering inviting them for dinner or maybe a drink? Would that be weird? But back to the tiles, they’re in, they’re grouted, they’re beautiful. 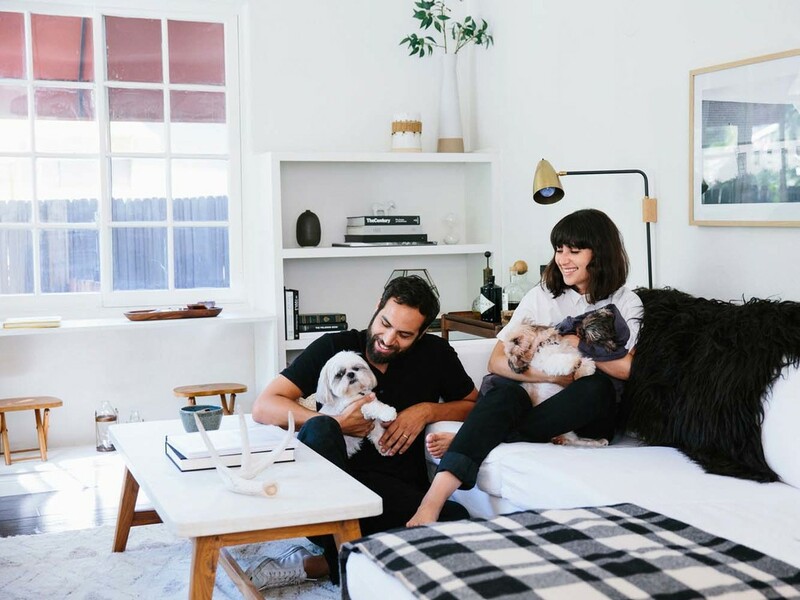 It took us two VERY long days to complete this little space and when I say “us” I mean hubby. I’m so lucky he is always ready to tackle a project, even one he has never done before. Since we are working in our entryway, which is a high traffic area, we decided to go with the dark grout. 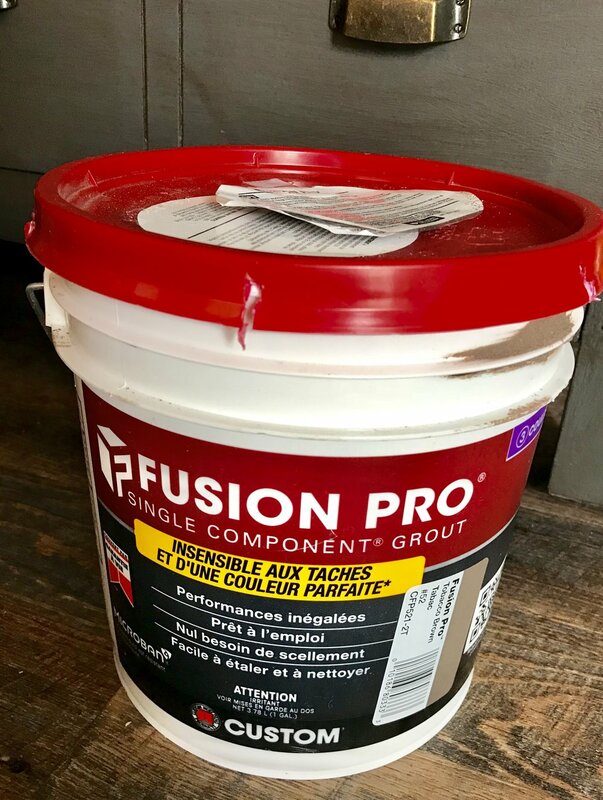 This pre-mixed grout by Fusion Pro was amazing to work with once we figured out they were serious when they cautioned users that this stuff “dried in 1-4 minutes”. That is NOT a lot of time in grout drying minutes, especially when you’ve never done it before and you have, what felt like, a gazillion grout lines. But we persevered, we worked as a team and got it done…yeah Savages! Fusion Pro also has a built in sealant so HELLO, one step, sealed the deal for us. Moving right along, earlier in this Challenge when I was making my never ending wish list, I decided I would DIY a boot tray. Liberty Hardware was kind enough to send me these cool vintage style castors to add to it. So while hubby had the wet saw going and the thin set mixed up, I tiled a 1/2 inch piece of plywood with some of our leftover tiles. I stained some scrap 1x2’s with the Stain & Finishing Oil provided by Fusion Mineral Paint and cut them to size. We attached them to the sides of the “tray” with some liquid nail and the nail gun, added the castors and voila! Super cute boot tray that can easily be moved out of the way to sweep or vacuum. I even grouted it so it should last for a very long time. What do you guys think? We’re getting there, next up is the board and batten treatment and we might have a couple of other tricks we have up our sleeve. It’s killing me not to dish it all to you guys RIGHT NOW but I can’t!! Trust me, I’m counting down the days too. 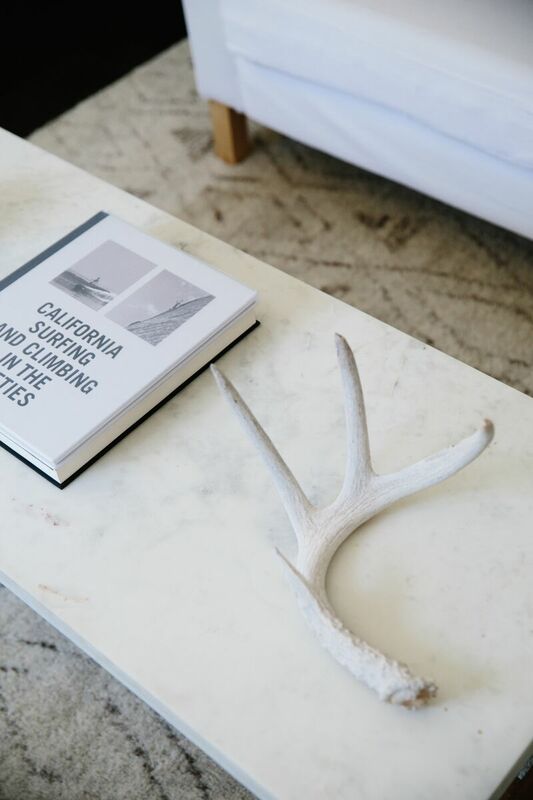 I’m specifically waiting for all the dirty work to be done so I can start adding all the beautiful finishing touches provided by my friends at Wayfair Canada. You guys are gonna LOVE them!!! Two more weeks....do you guys think we can pull it off? We’re gonna have to if we want to win this DREAM VACATION!! Voting is open again TODAY at 5:00am (PST) and closes Monday at midnight (PST). Vote often friends, every little bit helps, it can be flukey but I appreciate your patience and perseverance! In case you need the link, just click here, look for my face and click VOTE NOW, you know the drill!